Inda, historical brand specialized in the production of furniture, shower stalls and bathroom accessories Made in Italy and part of the Samo Industries Group, participated again in ISH, the world's leading trade fair and international meeting place for the bathroom sector. On this occasion Inda showed its latest proposals in each product category, all united by the motto "Your own style", to signify the extreme ability to personalize of the company, which is able to allow its customers to express their personal way of interpreting the bathroom. Among the furniture projects the main innovations are represented by the collection Sistema 45, which is divided into Logico, Acuto and Prestige series: all of them are dynamic furnishing solutions with a modular design approach, inspired by the kitchen world for their modularity, characterized by the 45 ° cut of the door that guarantees its extreme formal simplicity. The three collections are differentiated by their handles but have all the same awesome finishes. An important role is also played by Qamar, the product line of furniture with a sophisticated design whose finishes and materials can be matched with mirrors, accessories and many new shower stalls. Qamar distinguishes Inda from the rest of the bathroom furniture scene, interpreting the mission of give life to the total look of the bathroom. Among the latest proposals for shower stalls there was an original version of Azure, the example of maximum technical and aesthetic expression of Inda, with the glasses cut to follow the lines of an attic. Claire Design was also on stage in the exclusive version with brushed nickel profiles and a scenographic solution of a freestanding Walk In, positioned in the middle of the room to celebrate the shower as the central element of the bathroom. Inda shows its quality excellence also in bathroom accessories. Presented at the last Salone del Mobile, My Secret is a recessed wall system – total, semi-recessed or external – which includes three modules: a storage compartment, a toilet paper roll holder with toilet brush holder and a storage column. 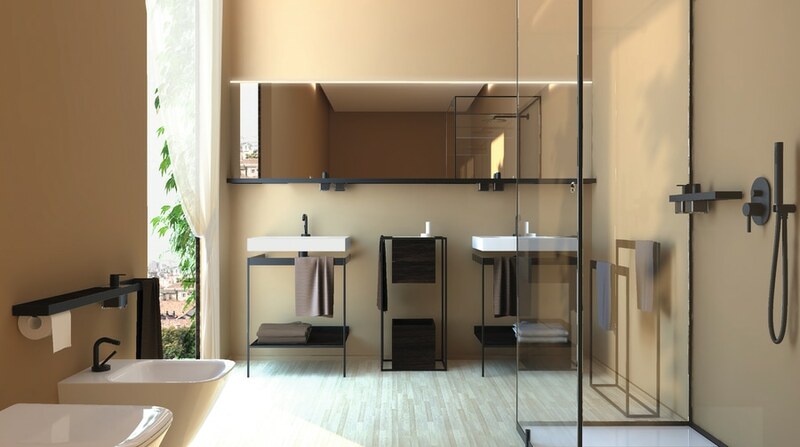 The idea of creating a system like My Secret stems from the desire to give a small encumbrance and an absolute functionality, which are best represented when the modules are completely recessed, an operation that is only possible when the modules are planned during the design of the bathroom. Pure lines and a reduced plate are the novelties of Logic, which is among Inda's best sellers and is available in chrome and matt black. 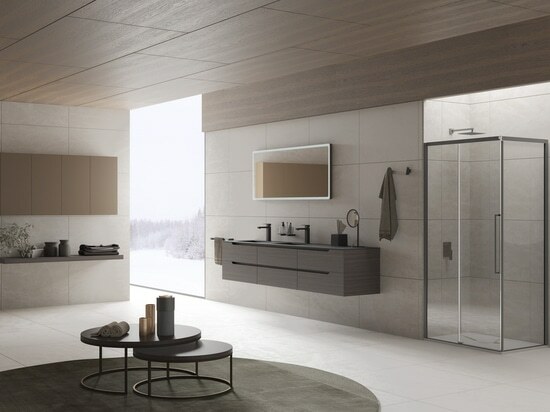 Forum Quadra is a series of accessories characterized by formal essentiality and an original square plate capable of giving character to the bathroom spaces. New finishes also for Lea and One now dressed in matt white, matt black, gold, bright pink gold, matt rose gold, glossy black chrome, matt black chrome, brushed nickel and bronze. On the 2019 edition of ISH the company also presented an absolute preview of Indissima, the new project that embraces all its product categories and that brings the unmatched signatures of Matteo Thun and Antonio Rodriguez. 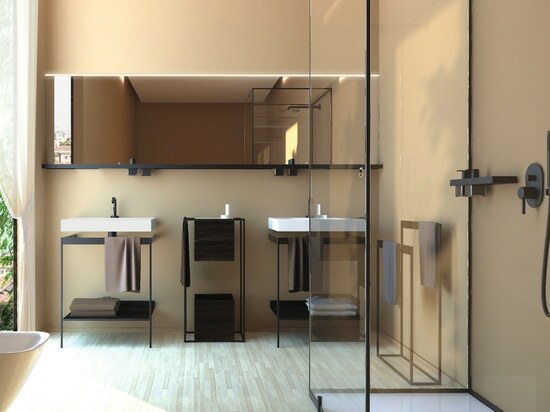 Mainly developed for the contract furnishing world but also suitable for a sophisticated and contemporary home, this project will include accessories, standing towel racks, shower accessories, mirrors, lamps, furniture and shower walls, united by a new minimal mood and extreme usability. Lightness, modularity and elegance are the key words for each product of the project, which is the result of an ergonomic design that is able to bring together different materials, such as steel and wood, giving rise to new harmonious interpretations. Inda was at Hall 3.1 - Stand D81 with all its new proposals which are able to provide the true total look of the bathroom and to satisfy more and more needs, interpreting the tastes of its customers from the most innovative to the more traditional ones, allowing them to really create their own style. 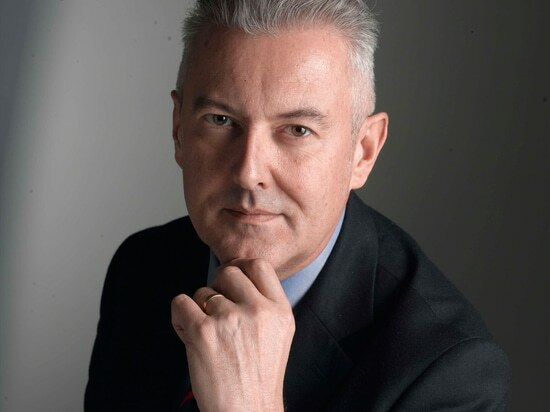 The Samo Industries Group intends, with these new appointments, to strengthen its corporate relations within the company. This is what lies behind Trendy Design, a shower solution in which it’s the details that make the difference: sliding doors and an exceptional variety of glass finishes that bring out the best in contemporary trends, allowing for a personal take on trends never before experienced.